Attorney Emily A. Gianquinto was trained at several big law firms, where she spent her time working for and defending companies big and small (and the people who own them) in various industries across Connecticut and beyond. As a business litigator focused on the resolution of general business disputes, she has developed knowledge and experience in varied areas of the law, including complex contractual disputes, products liability litigation, environmental litigation, disputes involving fiduciary duties of shareholders and business dissolutions, unfair trade practice claims, employment matters, trademark and copyright lawsuits, litigation arising out of fraudulent transfers and insurance litigation. She also has advised clients in connection with responses to government inquiries and subpoenas, as well as government regulation and licensing matters. Emily has practiced in front of state and federal lower and appellate courts and administrative bodies and has experience with both domestic and international arbitration tribunals. The breadth of Emily's experience has prepared her well for the demands of small-firm practice. She still serves businesses, but now is also dedicated to representing individuals in matters big and small. Her experience representing employers in disputes with employees gives her insight into the likelihood of settlement, and helps her assess whether employees have viable claims. Emily also has experience with businesses in variety of industries, including healthcare, energy, manufacturing, professional services, banking, nonprofits and more. 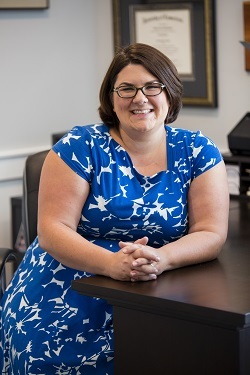 Prior to entering private practice, Emily served as a judicial clerk for the Honorable Flemming L. Norcott, Jr. of the Connecticut Supreme Court. During law school, she worked part-time for several solo and small-firm practitioners, preparing her for the day she opened her own firm. Before obtaining her law degree, Emily worked as a technical editor in the pharmaceutical industry.